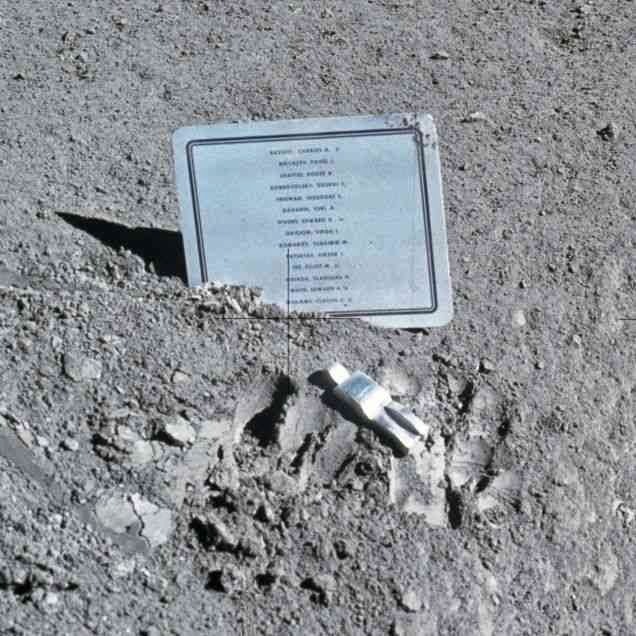 This little sculpture is called Fallen Astronaut, and was left by the crew of Apollo 15 on the lunar surface on August 1, 1971. The sculpture, which was made in the likeness of an astronaut-in-spacesuit, measures just more than three inches high, but the "Smallest Memorial in the Universe," as Walter Cronkite named it in a 1972 discussion with its creator, Belgian sculptor Paul van Hoeydonck, gave growth to blizzard of controversy disproportionate to its physical size. Over at Slate, Corey S. Powell and Laurie Gwen Shapiro have the detailed story of the disgraces and struggles that "covered one of the most astonishing accomplishments of the Space Age."